"We have a good relationship with Flipkart and we discussed with all key stakeholder what we want to do. There is lot to do in India to improve and organize businesses. We are looking at 10 years horizon for betterment of these businesses. " said Mukesh Bansal. 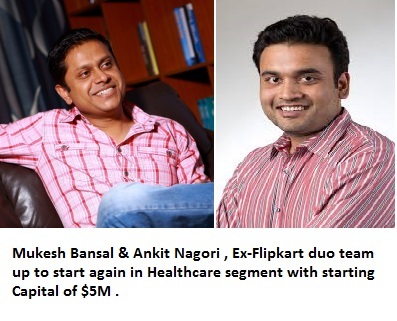 Mukesh Bansal and Ankit Nagori left Flipkart , almost a months ago in February post as a part of restructuring process where Binny Bansal taken charge as CEO of Flipkart.